Ahoy matey! It’s time to tell a story but you are in control of what it looks like. How often do we as adults find ourselves doodling during a work related meeting, or when we are bored. It is certainly not a skill to ignore, but one that should be fostered. Come aboard this adorable ship with pirates Oscar and Josephine and be amazed at this new approach to storytelling. What better way to foster creativity than with an interactive book that can change with each return use. With a few simple clicks, users will become not only the author but the illustrator of their own story. 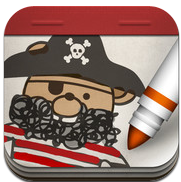 Currently a free application in your iTunes Library, Pirate Scribblebeard’s Treasure with Oscar and Josephine is definitely not one to miss out on. This interactive story app contains 14 pages worth of story starter like images and more pages are coming with future updates. Kidoodle Apps mission is to foster the genius that is born in each and every child. With the help of paper doll like characters, Oscar and Josephine, readers as young as 3 will be engaged in so many ways as they see their drawings come to life. Applicable2U was impressed with the way it almost felt like a “Mad Lib” as users fill in the blanks to tell a story. Unlike your typical book, Kidoodle Apps has opened up their book in a new way. Pages can be navigated and created out of order, saved and emailed to a designated parent. It is an interactive book that incorporates the skill of developing ones fine motor skills. With only a few drawing features: eight markers, two marker thicknesses and an eraser, doodling has never been more fun. 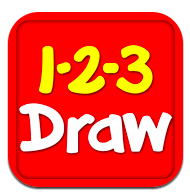 However, if drawing with the magic touch of your finger is challenging, Kidoodle Apps also has for a minimal price, a Magic Stylus that can support all types of users. Just like a hard covered book, Kidoodle Apps has developed a product that can encourage a wide range of conversations between a parent and their child. Young readers can further describe their illustration(s) as they extend on their pirate story. As your child grows, parents will be amazed at how their child’s doodling will change over time. Recently, my five year old son got a hold of my iPad and began exploring the high seas while driving to school one day. Without any support during that drive, he was able to listen to the narrators on each page and to begin filling in his rendition of the story. Prior to beginning this review, I opened the application and noticed his drawings and was amazed. Story pages can be viewed like a an artist just establishing their storyboard. Or with a click of an arrow, stories can be told left to right as if holding a book. A note to the developers – in a future update, it might be interesting to think about adding a button option that would animate the entire book as if it were a movie. Overall, Applicable2U definitely gives this a five star rating. As our children become school aged, how often do they get to have fun and be creative. 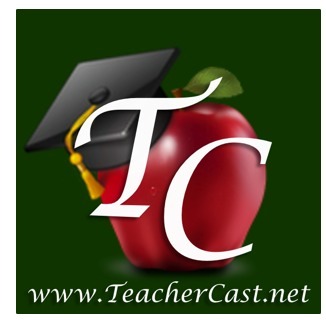 They work so hard academically, now it is time to bring out the artistic side of your child. 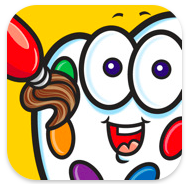 If you would like to learn more about Kidoodle Apps, then visit their website here. Be sure to download Pirate Scribblebeard’s Treasure with Oscar and Josephine from your iTunes library here and get it for free this weekend only.